Blob ??? : Teleports, steals shield and health attacks. These are very powerful and dangerous enemies that use three attacks, Void Tentacles at short range debuffing energy resistance, a Chrono Beam that can kill most players in one-shot at long range and has a Vampire Bite which can kill players in less than seconds. These attacks heal the ??? blob. The ??? blobs are also very fast and can easily catch an Explorer 062 plus they have the ability to teleport. Location: The next system after Vorsran if it went out already. Otherwise Vorsran, Innerst (elite) hangar. Last edited by FIGHT4LIV3 on Mon Dec 19, 2016 1:28 pm, edited 2 times in total. DRONE X: DRONE X was made by the most secret base Area 51. It contains the most superior powers. traf wrote: The winning design will become either a new contest to flesh out the identity of the ship, or it will go straight to the suggestions forum. Depends on my mood (and the size of my next paycheck lol). Last edited by Nightsky on Fri Dec 23, 2016 1:45 am, edited 1 time in total. 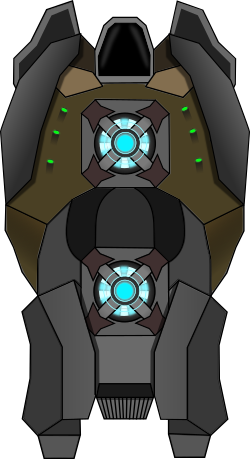 Used the sides to create some sort of charging tower to power up the core.. and some energy based weapons. A nova that have 15% all debuff and shield debuff for 2 seconds stacking up to 30% all resist debuff and 4 seconds debuff if both novas hits.. this weapon consumes 150 energy for both novas and 75 for one nova for it to shoot 2 novas you'll have to charge it until 150 energy and for 75 charge until 75 ofc. Last edited by Bianca on Wed Jan 04, 2017 7:49 pm, edited 1 time in total. now this is getting interesting . . . keep it up! I know I probably shouldn't be doing this, since I'll be leaving the forum forever this Thursday, but I figured I just HAD to take a shot at making an entry out of the whole image this time. Last call for entries! Contest ends on Friday!